BPS Facilities Ltd offer Commercial Roof Repair, Maintenance and Installation anywhere in the UK. We are the go-to Facility Maintenance Company for businesses and commercial property owners all over the UK. Is commercial roof repair expensive? It really depends what repairs are needed as to how much it will cost to repair your commercial roof. You should always use a reputable roofing company which specialises in commercial roofing, maintenance, repairs and installation as they will have the experience, qualifications, required resources and equipment to repair your roof quickly and to a high building regulation standard. 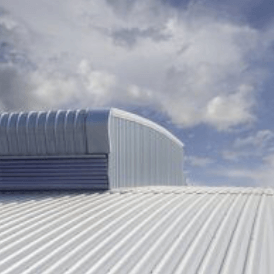 Is commercial roof repair covered by buildings insurance? Roof repairs can be covered by buildings insurance and it depends on your insurer and the policy you have with them. Always give them a call to ask them what is covered on your policy before you ask for quotes from roofing repair companies. Lots of insurance policies will cover water damage or the cost of replacing or repairing your commercial roof. If the repairs are from damage caused by weather or a storm then there are insurance policies that will cover these scenarios. Are you responsible for your commercial roof repair as part of your leasehold? Every lease contract is different so it is so important to check your contract and get a specialist solicitor to check it before you sign. Your lease will set out who is responsible for carrying out repairs of your leased property and for any shared facilities. In most normal cases the freeholder is responsible for arranging repairs to the building’s structure to maintain it to the standard it was when you took the property over, and this would normally include the roof and guttering. Is commercial roof repair classed as leasehold improvement? Any improvements you do to your leasehold that change its use, increase its value or extend its leasehold value are seen as improvements. Roof repairs would normally be a requirement that forms part of your lease, however, installing a new roof could be considered an improvement. In these situations always check your lease contract and speak to your landlord before you make arrangements for any work to be done. Can commercial roof repair be done in winter? Most roof repairs can be done in winter as long as there is no risk to the roofers from heavy rain or icy conditions. Roof installations can also be carried out in winter although the temperature can limit this on certain roof types. As an example; the best temperature to install an asphalt shingle roof is between 40 and 85 degrees F or 4 and 26 degrees C. If a shingle roof is installed below these temperatures the shingles can become brittle and more prone to breaking. Can commercial roof repair be done in the rain? There are two things to consider when repairing a roof in the rain, the first is the safety of the roofers who are carrying out the repairs as a roof will be extremely slippery and dangerous when wet. In addition to this, the repairs may not always be as effective and or last as long if the roof is wet. Most professional commercial roof repair companies will still carry out the repairs for you in wet weather as they will have the safety equipment to make sure their team are safe, as well as understanding that not carrying out the repairs quickly will likely cause more damage to the property in the short and long term. Can commercial roof repair be done without scaffolding? Some roof repairs can be done without scaffolding, however, it depends on the building, its location, its proximity to other buildings and the type of repair that is needed. Larger roof repairs will likely need scaffolding as is designed to keep the roofers safe as well as anyone on the ground, as tools and materials falling from a roof can be extremely dangerous. Is it difficult to do commercial roof repair with solar panels fitted? When solar panels are fitted it can be difficult to access damaged tiles underneath the panels. Solar panels are usually fixed by tile mounts and are screwed directly into the roof. This is the recommended fixing method compared to being nailed as it is likely that more tiles will be damaged if they need to be removed when repairing a roof. A good and reputable commercial roof repair company will come out and review your roof and be able to let you know what they need to do to carry out the repairs if there are solar panels fitted and they will have the experience to do this. Commercial roof repair versus replacement? Roof repairs and installation costs are based on square footage as well as the materials, resource and equipment needed. If scaffolding is needed for safe roof repair then it will cost more for the repair to be done. Good commercial roof repair companies normally have their own scaffolding so this reduces the cost for you as scaffolding is expensive to hire. If your roof is extensively damaged or worn then its always a good idea to ask for a quote for the repair as well as a new roof so you can compare the costs and make your decision based on how long the repair will likely last, versus a whole new roof being installed. Always remember that repairing a roof takes a lot less time than replacing a whole roof so is normally a cheaper option and this will depend on the type of business you have. At BPS we have the experience, team and resources to repair, maintain or install your roof easily and effectively with minimal disruption to your business. Minor defects are normally the cause of most leaking roofs so regular maintenance and inspections from a reliable Commercial Maintenance and Repair Company will highlight issues that may cause you problems later down the line. This ensures you have the ability to be proactive in repairing before it becomes an issue which could cause damage to the rest of your property. Planned inspection visits, gutter cleaning, roof outlet and flashing maintenance can help prevent unnecessary building fabric damage & leaks. BPS Facilities Ltd. is an independent company whose excellent reputation has been built on providing high quality and building compliant services every time. Our professional, polite and proficient staff offer a complete engineering service for commercial and industrial companies, 24-hours a day. At BPS we hold the values of trust and honesty in high regard and these are reflected in everything we do. We deliver our high-quality service by empowering our employees to deliver exceptional service every time. BPS Facilities offer Commercial Roof Repairs and are the experts in commercial roofing repairs, maintenance and installation in the UK. Contact us today for small, medium and large commercial properties on 029 20 484114 and one of our expert team will be able to help.